UPDATED: Siri Pinter Eats Labor-Inducing Salad On Air With Carson Daly - Did It Work?! UPDATED: Siri Pinter Eats Labor-Inducing Salad On Air With Carson Daly – Did It Work?! 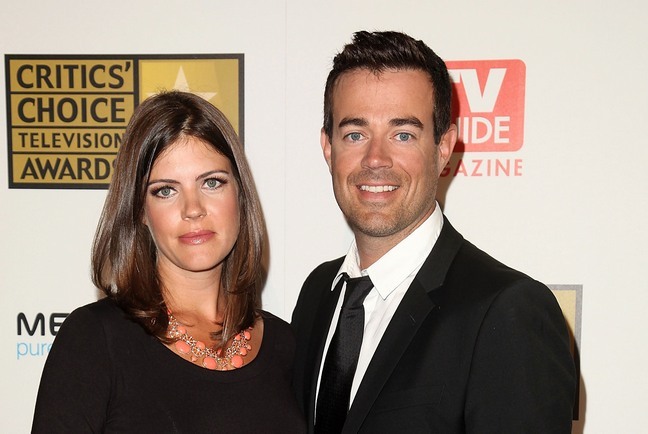 Siri Pinter and Carson Daly try to hurry up the arrival of baby #2! Siri, who is due on Saturday with her new bundle of joy, decided to take matters into her own hands yesterday by heading over to the Caioti Pizza Cafe in Studio City. Her mission? To eat the magical labor-inducing Maternity Salad. The special salad is rumored to help pregnant mamas go into labor the same day they eat it. Siri decided to give it a try and even called in to Carson’s radio show to eat the salad on the air and see if there was any truth to this crazy salad. Nothing much happens while they are on the air, but Siri blogged that within an hour, she was having contractions. And this morning, she hinted that baby will be here any time now. It sounds like little Jackson will be a big brother sometime today! We’ll keep you posted! Did you try anything different to get labor kick-started?